We are thrilled to be able to co-host the Oscar Red Carpet Bash at the Drexel Theater this week. Please join us Sunday a the Drexel (2254 E.Main St.) Sample delicious wares from local restaurants and wear your fanciest duds or dress like someone in one of the nominated films for a chance at prizes. We’ll also be handing out prizes for trivia as well as for the closest predictor of the Oscar winners. In case you’re on the fence, we thought we’d put together our own list of Oscar’s likeliest winners. One of this year’s few tight races, the best picture contest comes down to one brilliantly told, magical tale told from the inside of celebrity versus one unrelentingly and somehow magically realistic picture of childhood. The push over the cliff for us are all the telltale awards in recent weeks from the Screen Actors, Directors and Producers guilds – all with Oscar pool overlap. Whenever Best Picture’s a toss up, you can expect the nod for directing to be just as close a race. Oscar could split – one to Birdman, one to Boyhood – but we get the sneaking suspicion that one film will mop up the two top prizes. Here’s the only performing category with much of a race going on. The bet is between beloved veteran Michael Keaton for his fearless performance in Birdman against talented semi-newcomer Eddie Redmayne with his turn as Stephen Hawking in The Theory of Everything. It’s a close one, but not too close to call. Here begin the easier calls to make. In a relatively weak field, Julianne Moore shines all the brighter regardless of the fact that the film Still Alice is not especially strong. In a year full of locks, no race is more of a foregone conclusion than this. Though we do feel badly for Edward Norton, sporting the very best performance of his impressive career, there’s really only one option. This one may not be locked up quite as tight, but you can be pretty confident that Alabama Worley will finally get her justs. What an insanely great year for original screenplays! Truth is, you really can’t go wrong with any of these. 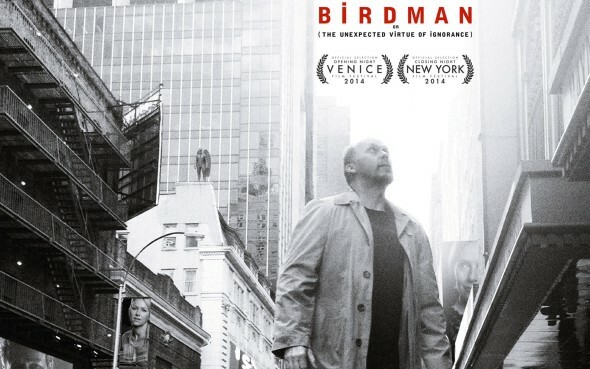 There’s a good chance the award will go to Birdman in a huge awards-grab, but we think smart money is with another brilliantly crafted piece of writing. It’s another tight race and honestly, it wouldn’t surprise us if the Oscar went to any of these writers. Well, it might surprise us (pleasantly!) if Paul Thomas Anderson’s Inherent Vice won, but otherwise, the field’s wide open. Keep us honest – join us Sunday night at the Drexel and keep track of our hits and misses while you enjoy the Oscar broadcast, some delicious food and beverages, and win big prizes. For more information, visit www.drexel.net.